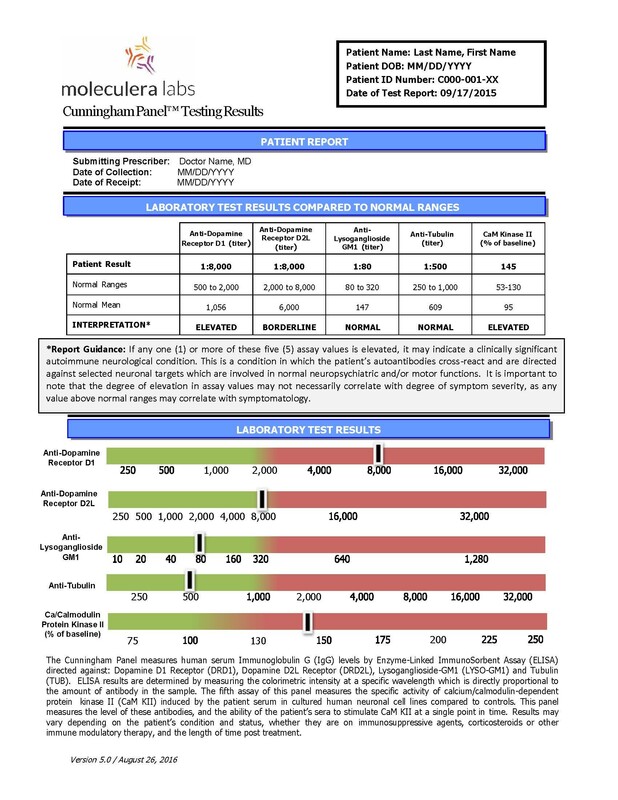 Many of you have expressed interest in having your children tested with the Cunningham Panel™ of tests. Our goal is to provide independent laboratory testing results to aid your physician as they make decisions on diagnosis and treatment for your child. Click on the button below to download ordering instructions. 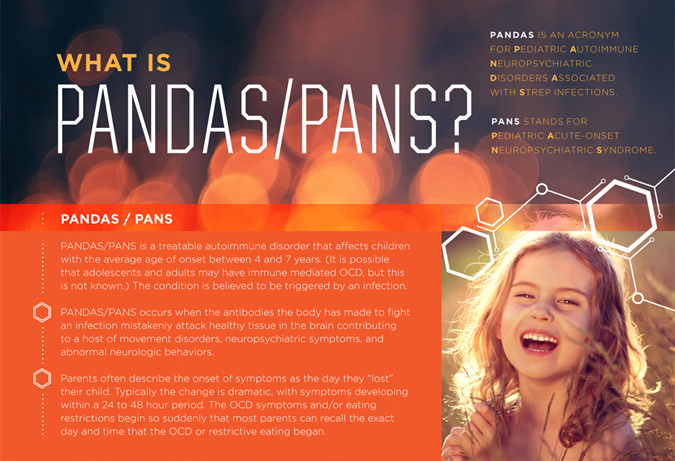 Below is an animated video which describes how the Cunningham Panel™ test can assist physicians in diagnosing two perplexing Neuropsychiatric Disorders – PANS and PANDAS. In order to perform testing on your child, we must have your physician prescribe and order the test panel before we can receive your specimen. If your physician has not previously prescribed tests from Moleculera Labs, they will first need to “sign up” through the Prescriber Portal Login located on the Home Page of our website. If they need assistance in doing this, please have them call our office at (405) 239-5250. It is important that you provide your physician with your preferred e-mail contact as this is the primary method for us to communicate and send you the additional information we need to process your specimen. The Cunningham Panel™ consists of 5 high complexity tests which require approximately 3-4 weeks to process. Please allow that amount of time to have your specimen received and tested, and results returned to your physician. 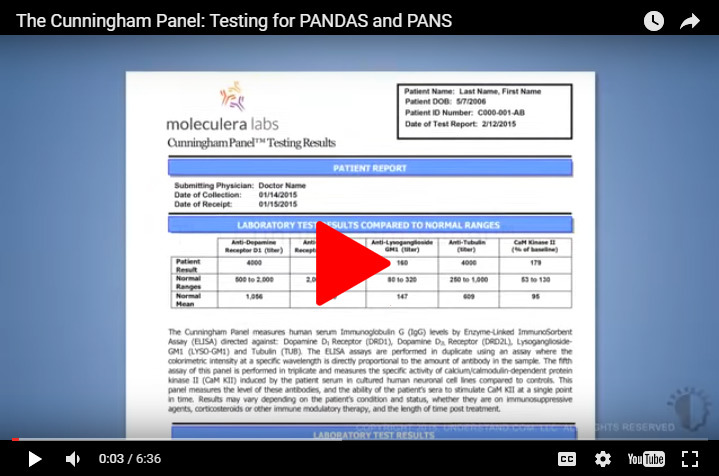 We know these laboratory results are very important for you and your child, and we are diligently working to reduce the testing time through new technology platforms. Moleculera Labs is the sole testing laboratory for the Cunningham Panel™. We are a very small organization and our intent is to make this test panel as cost effective as possible. The cost of the Cunningham Panel™ of Tests is $925. This amount is the responsibility of the patient/responsible party. Before we can receive the patient’s specimen, we must collect a $425 deposit (for patients with commercial insurance) or full payment of $925 (all others). Once your medical practitioner places your order, you should receive an email from Moleculera Labs. The email will contain a link to enter your insurance and payment information online. Once your deposit or full payment is paid, we will ship a Specimen Collection Kit to your designated address. The Specimen Collection Kit typically is sent via FedEx 2-day Air, and may require about 2-3 business days to arrive, depending on your location. Some practitioners have kits onsite and may do the blood collection in their office or provide you with a kit. In this case, your payment must be either pre-paid online or by phone or the payment must be included with the specimen. For information on insurance, billing, and payments, click here. Cunningham Panel™ Test Kits will be shipped within two (2) business days of purchase. We determine the shipping carrier for your order. The carriers that may be used are: U.S. 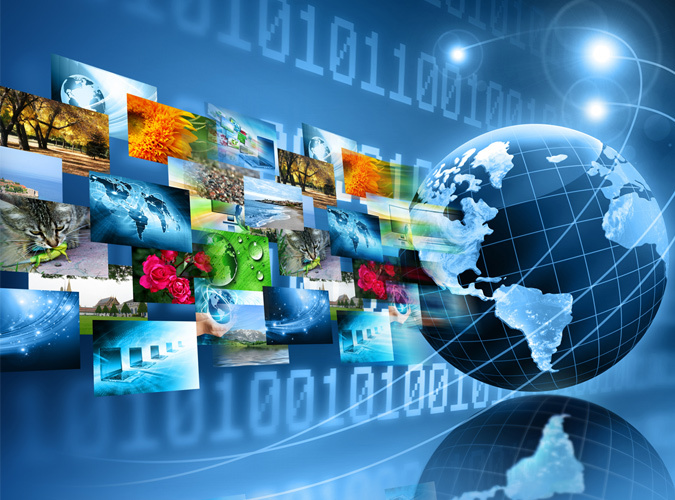 Postal Service (USPS), United Parcel Service (UPS), or Federal Express (FedEx). Please note that we cannot ship to P.O. Boxes. FedEx and UPS deliveries occur Monday through Friday, excluding holidays.